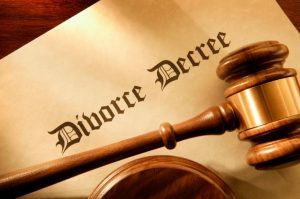 Dividing a business can be difficult between two parties in a divorce. If the court decides that the business is marital property, then the value and the division will be between both parties. If you live in a community property state, then your business value will be subject to a 50/50 split. Other states, will subject your business to equitable distribution. In this case, the court will consider the following factors, such as, (1) who owned the business prior to marriage; (2) contributions that each party made during the marriage; and (3) Are there any third parties that have an interest in the business. Accurate valuation- Find a qualified business appraiser to conduct a business valuation. Look at contacting either the Institute of Business Appraisers (IBA) or the American Society of Business Appraisers (ASA). To conduct a valuation the experts will require the business’s financial records, such as Profit and loss statements over a certain period of time, Assets, such as equipment, inventory, and real property etc. The experts will also require other details such as business location, economic conditions, trends and future profitability. Each party should have their own expert – This is important if one party wants to buy the other party’s interest. Getting two opinions will also provide for an accurate valuation, closer to the market value. After the business valuation – Each party should then decide on how they want to proceed with the business. For example, selling the business and dividing the proceeds between either parties or one party buying the other’s share.